Catch up with Professor Oak to get your first Pokémon in Pokémon: Let's Go. 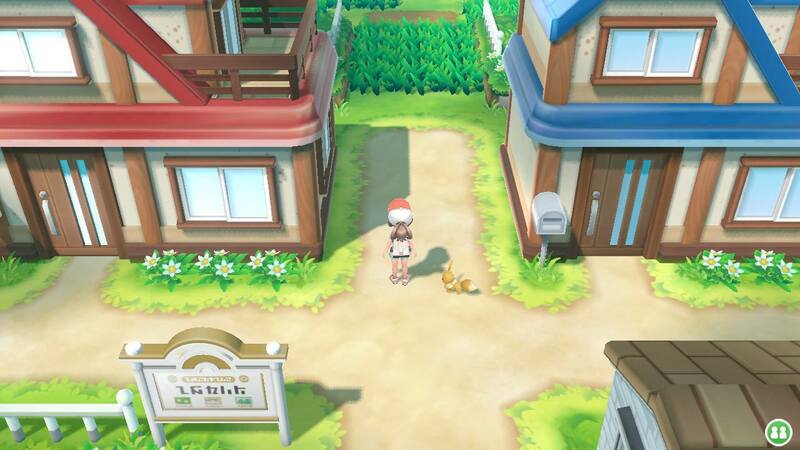 When you begin your journey in Pokémon: Let’s Go, you’ll get to explore Pallet Town and interact with the enigmatic Professor Oak. By finding Professor Oak, you’re given your very first Pokémon. He also teaches you how the capture mechanic works in Pokémon: Let’s Go. Unfortunately, when you follow your Rival over to Professor Oak’s Lab, you’ll discover he’s not there. Wondering where to look for him? We’ve got you covered! Below, we’ve put together a quick guide on where to find Professor Oak in Pokémon: Let’s Go. Professor Oak can be found by heading North through Pallet Town until you reach the grassy area leading into Route 1 in Pokémon: Let's Go. In Pokémon: Let’s Go, Professor Oak won’t be in his Lab. Instead, you’ll need to find him by heading North through Pallet Town until you reach the path leading into Viridian City (Route 1). There, you’ll find Professor Oak talking to a flock of Pidgeys. Walk up and interact with Professor Oak and the Pidgeys will leave. As you talk to Professor Oak, either Pikachu or Eevee (depending on what version of Let’s Go you own) will come running through the grass. At this point, Professor Oak will teach you the capture mechanic. After you capture Pikachu/Eevee, you can head back to the Lab with Professor Oak. There, you’ll be able to officially claim your newly caught Pokemon. Professor Oak will then give you your PokéDex and wish you well before you leave. Before you return to the path to Viridian City, make sure you talk to your Mom outside the Lab in order to get your Town Map. With all of that done, you’re ready to head off to Viridian City! On the way there, you’ll likely encounter Pokémon in the form of Pidgey, Rattata, or Bellsprout. By walking up to these Pokémon, you can initiate an encounter to test out your capture skills. Note that you can’t battle these Pokémon, only capture them. By capturing them, you’ll add them to your Party and enter their data into your PokéDex. Were you able to find Professor Oak in Pokémon: Let’s Go? What version did you choose to buy, Pikachu or Eevee? Let us know down in the comments below! For more on Pokémon: Let’s Go, be sure to check out some of our previous guides including how to pair your Poké Ball Plus with Pokémon: Let’s Go, how to get Mew in Pokémon: Let’s Go, and who your Rival is in Pokémon: Let’s Go. By reading through this guide, you should now know where to find Professor Oak in Pokémon: Let’s Go.